Despite best efforts, tooth decay, dental trauma, and other oral health issues still arise. 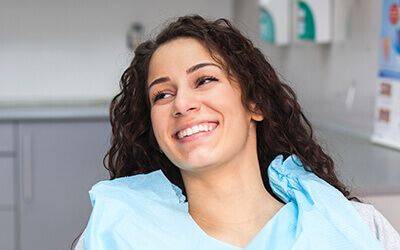 When damage occurs, we take time to carefully explain patients’ treatment options and partner with them to create a custom treatment plan that repairs damaged smiles while maintaining healthy dental structures. When you experience dental damage or decay, don’t wait for you next six month checkup to get in touch. Call our office right away. In many cases, early intervention will make it possible for our team to provide more conservative treatment options. Tooth-colored fillings are fast becoming the standard in repair for minor chips, cracks, and tooth decay, but patients are often surprised to hear it’s not just because they look more natural. Traditionally, mild dental damage was repaired using a silver-colored amalgam material. In addition to being noticeable within the smile line, these fillings are wedged in place by a series of notches in teeth. Over time, this can lead to bacteria being trapped between the tooth and the filling causing additional decay. Amalgam also expands and contracts when exposed to temperature changes, which may damage the tooth. Composite resin filling materials are applied directly to the tooth in a malleable form, allowing the filling to seep into even the smallest crevices and grooves in smiles forming a solid bond and blending into the natural smile line. 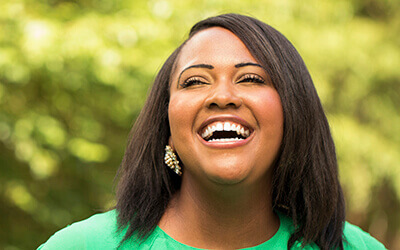 Dental crowns are restorations that fit over the top of damaged teeth to protect remaining tooth structure from additional damage and restore form and function to teeth. The process typically requires two appointments. During the initial visit we prepare the tooth, capture bite impressions, and place a temporary restoration. When we receive the final crown from the lab, patients return to exchange the temporary for their custom crowns. We’re also happy to offer same day dental crowns, fixed bridge tooth replacement, and other restorations using CEREC. Root canals have gotten a bad reputation for being painful procedures, but actually, root canal therapy significantly relieves the toothache pain that precedes the root canal. This procedure is necessary when decay or damage affects the inner most layer of the tooth where the nerve system is housed. When damage affects the sensitive nerve tissue, the result is an extremely painful toothache. A root canal removes damaged pulp and nerve tissue, relieves toothache pain, and restores the full form and function to the damaged tooth. In the majority of cases, tooth extraction is a thing we try to avoid, but at times, removing a damaged tooth is the best way to ensure patients’ overall oral health remains intact. 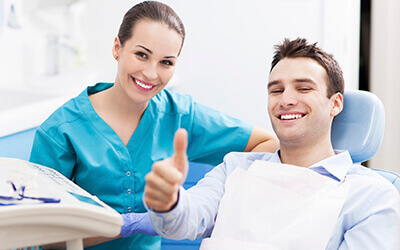 If we determine dental tooth extraction is a patient’s best option, we’re happy to provide this service in our state-of-the-art dental practice. We may recommend dental extractions when teeth are too severely decayed or damaged to support a restoration, in preparation for orthodontic treatment or denture placement, and to prevent third molars (wisdom teeth) from damaging oral health.